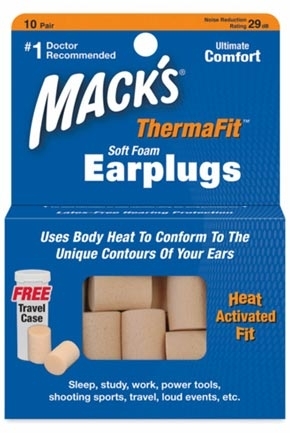 These Ear Plugs are made from PVC and are latex free. If, in the extremely rare instance you should experience any type of rash or skin irritation while using this product, please discontinue use immediately. Consult your doctor or go to your local medical emergency room if you believe you require immediate medical attention. sleeping, studying, power tools, shooting sports, travel, loud events, etc.